We are a small company launched in August 2012 in Sivakasi – (Southern part of India) with the target to make lowest price modern type of bakery boxes as per customer requirement. We specialize in supplying a unique range of cupcake boxes, bakery boxes, sweet boxes, cake bases and chocolate boxes at cheap price. Our range of boxes includes Single and double pastry boxes, from half Kg to 5 Kg cake boxes in a wide range of colours. We also have cupcake boxes which can hold 1, 2, 4, 6, 9 and 12 cupcakes which are ideal for cupcake companies and shops to package their cupcakes. We use cardboard papers, Kraft papers and corrugated papers to make all our products. We produce all our cardboard boxes in house, these can be stock boxes or made to measure to your size. Since our die makers are experienced, customer can make use of them to produce any extend to the complicated dies. Whether it’s cardboard or corrugated, small size or large size, just provide your samples, we make it to the same kind of boxes. 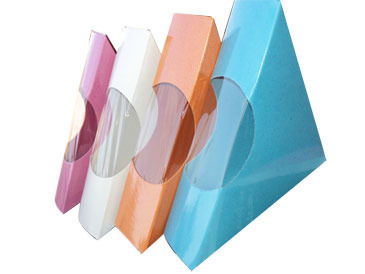 When comes to customization, we use different type of printings. Stencil printing and offset printing. Stencil printing is suitable for single color with minimum quantity and offset printing is suitable for multicolor with large quantity. According to your requirement we provide solution.